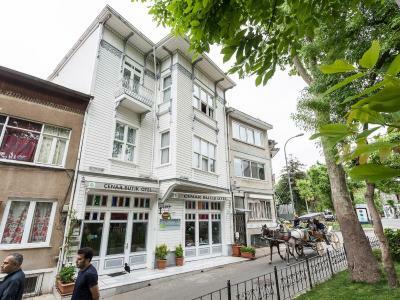 Lock in a great price for Cenar Konak Butik Hotel – rated 9 by recent guests! nice place for relaxing. Very beautiful breakfast!!!! Ahmed in reception is so much friendly and helpfully!!! Lovely place!!! Great fish Restoration's and cafe's!!! Amazing staff, breakfast and wonderful location. Beaches aren’t the cleanest but well worth it for a day or 2. Plenty of good food around and plenty of things to see if you like to be out and about. The room was simple but clean and charming. The recepcionist was extremely helpful and kind. And the breakfast was perfect. It was our second time to stay at Cener Konak. Both times everything was more than great. Room was extremely clean and supper nice. Breakfast is amazing and service is top class. Location is only 5 minutes walk from port so it worked great for us. Will be back for sure. Kindness of the staff, delicious breakfast, traditional house, room with large windows and wooden floor. Very nice host, friendly and helpful, always asking if everything is alright. Breakfast (turkish) is excellent! Location is great, very quiet in the night but central (restaurants, shops, bakeries etc. are nearby). Featuring a bright décor with warm colors, each room here will provide you with air conditioning. There is also an electric kettle. Featuring a shower, private bathroom also comes with a hairdryer. 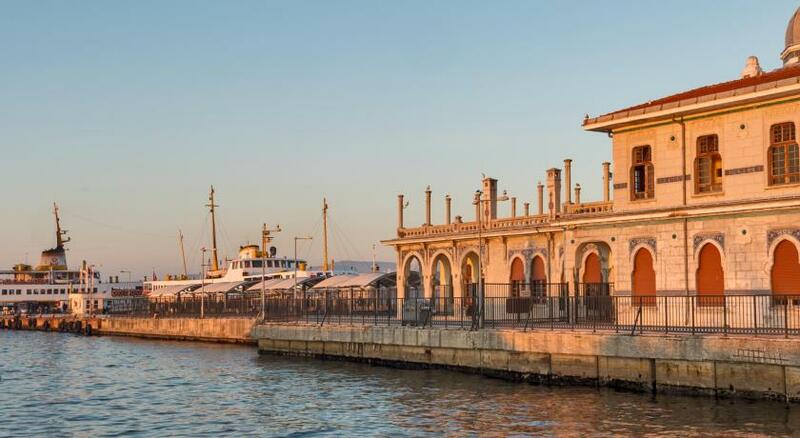 At Cenar Konak you will find a terrace with the views of the island and Marmara Sea. Other facilities offered at the property include a tour desk and luggage storage. An array of activities can be enjoyed on site or in the surroundings, including cycling, horse riding and fishing. Daily breakfast is served in plate service. There are many cafés and restaurants, which you can enjoy a variety of food, in the surrounding area. This is our guests' favorite part of Buyukada, according to independent reviews. This property also has one of the top-rated locations in Buyukada! Guests are happier about it compared to other properties in the area. This property is also rated for the best value in Buyukada! Guests are getting more for their money when compared to other properties in this city. When would you like to stay at Cenar Konak Butik Hotel? This triple room has a seating area, air conditioning and dining area. This double room has a balcony, satellite TV and soundproofing. House Rules Cenar Konak Butik Hotel takes special requests – add in the next step! Cenar Konak Butik Hotel accepts these cards and reserves the right to temporarily hold an amount prior to arrival. we didn't really like that there were no towels on the beach. The cost of the beach per person on Monday was 40 liras, and the Internet read that 30 liras. The captain of the boat that drove us from the beach asked us to 130 liras although it's free, but we did not pay! The stuff so kind and ready to help all the time! The trip was great- Thank you! A little bit loudly, but it’s ok. This hotel is very atmosphere and make the sense that you’re at granny place. Staff is the greatest people we’ve ever met. Room is clean and nice. Our room was a bit old and but they did offer another room the following day. Great hotel in a old Turkish Konak style. Great breakfast, lovely staff, spacious and airy rooms. Ahmed was a great host, his presence makes the difference. Super breakfast, feeling like home. Small room with a great view to the backyard. The balcony of the room was smaller than we expected. Mr. Ahmet was extremely friendly and helpful. The breakfast was amazing. I can recommend it to everyone. Very welcoming and a relaxed atmosphere. Full of character! Staff very keen to please. Typical Turkish breakfast was beautifully presented and delicious. The property has seen its best days. No cleaning during our 3-day stay. Very nice and friendly staff!! Great breakfast! !